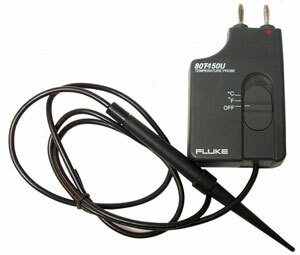 Prior to using the Fluke Digital Multimteres I used the cheap ones, like from Radio Shack. They say "to error is human" and when you error with a DMM it's usually something like forgetting to change from Ohms to AC volts and then sticking the probes into the A.C. mains outlet. The next thing is you get to watch and smell the smoke coming out of the meter. Sometimes the destructive energy is not great enough to let the smoke out and you just get wrong readings. 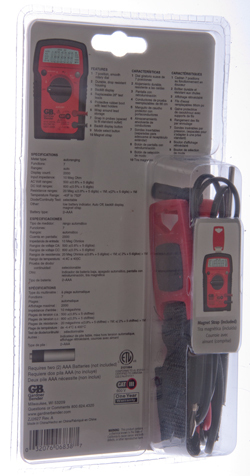 The cure for that is to use the Fluke (or other high end) DMMs that are designed to withstand that kind of abuse. This is my second model 87. I wore out the switch on my first model 87 (I don't think they had the lifetime warranty then.) and sometimes it does not turn off and so drains the battery. 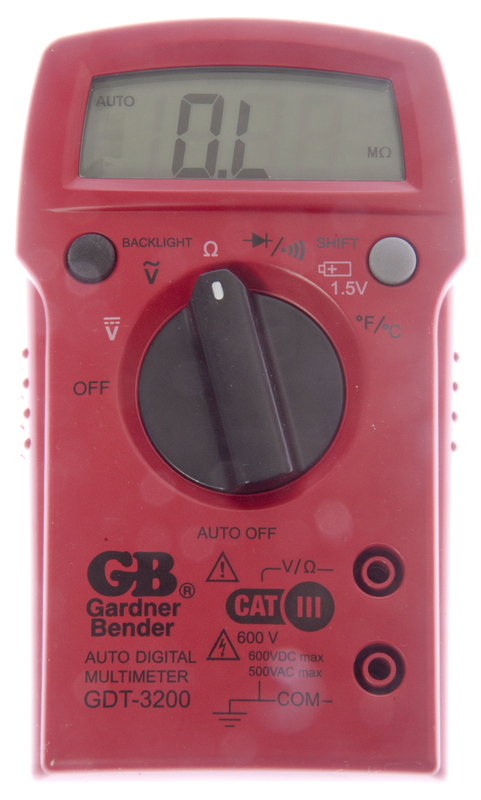 Over the years I've used many many multimeters. One was in EICO kit ik Ohm/V analog meter and got me on San Fransisco channel 9 for building it. 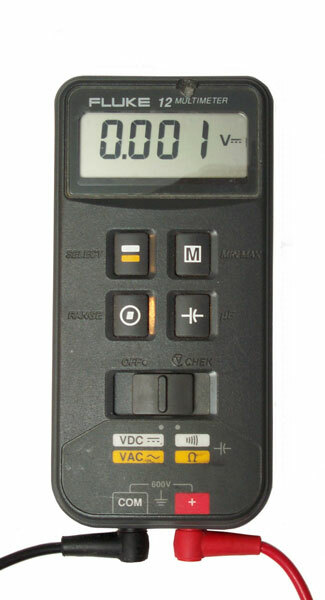 Another was the Heathkit VTVM I still have, but the plastic analog meter bezel was broken. There are times when one is a better choice than another. When troubleshooting something like a lawn sprinkler system the Fluke 12 or a very cheap analog multimeter (1k Ohm/volt) works much better than the Fluke 87 or a VTVM because the cheap meter (or Fluke 12) presents a load when measuring voltage and so a break in the wire shows up. 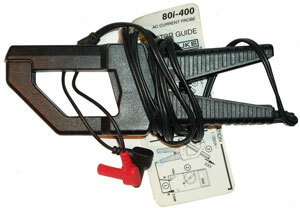 But if you use the Fluke 87 (hi-Z input) you see the supply voltage because there's no load to pull it down. The Fluke 12 has an internal resistor shunting the Voltage input in the VCheck mode for just this reason. I haven't tried it but suspect that the Max/Min/Average function on a Fluke 87 DMM could be used on telephone dials to good effect. I spent a few decades working with semiconductors and the Vf measurement, when done at 1.0 ma, is a very useful thing to know about a diode. 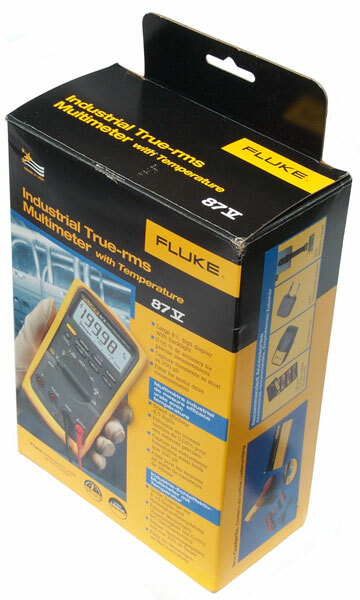 The Fluke 87 uses a 1.0 ma current source for the diode function, but other meters may simply use a resistor (not a current supply) and so the Vf value is not as useful. Note by measuring a transistor with the diode function with both polarities (E-B, B-E, C-B, B-C) you should see two forward diodes and something approaching an open circuit on a good transistor that's not connected to anything else. 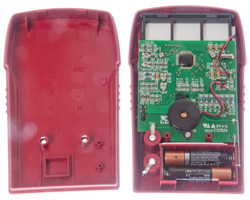 This can be used to identify which wire is which and tell if it's an NPN or PNP. But there are transistor testers that do a much better job and some work while the transistor in installed in a circuit. 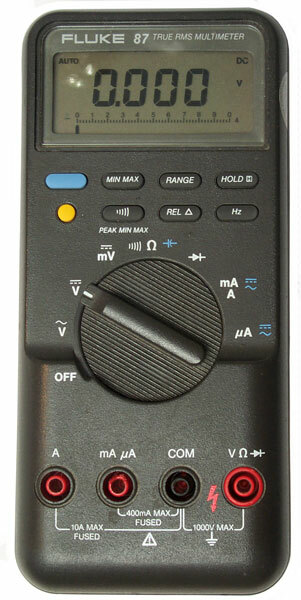 Another thing that's nice about the Fluke 87 is that he AC measurements are true RMS rather than displaying an RMS value based on using peak detection of the waveform. The latter method works if the signal is a pure sinewave, but is in error for other waveforms. I tried to measure the short current output (Flash Amps) of some No. 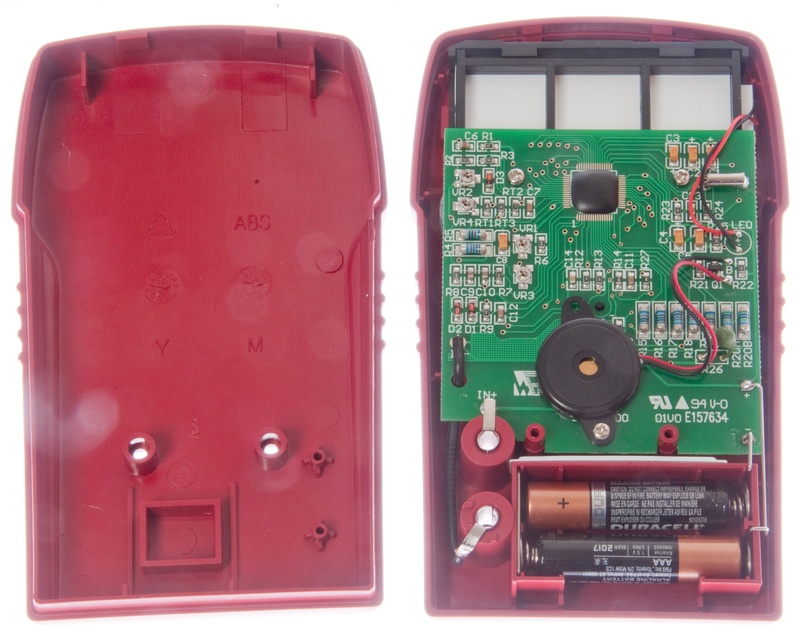 6 1.5 Volt batteries with the Fluke 87, but the current was so high it blew out the internal protection fuse. Those fuses are pricey. When No. 6 batteries were popular there were pocket analog current meters (not voltmeters) that were used to check the "flash amps". I've had a problem with some probes that have opened. This was caused by poor strain relief. I'll see if I can find the dead ones to add a photo. Good probes have sharp points which allows probing fine pitch Surface Mount Technology parts as well as probing through conformal coating. Fluke and Greenley have nice sharp pointed probes. 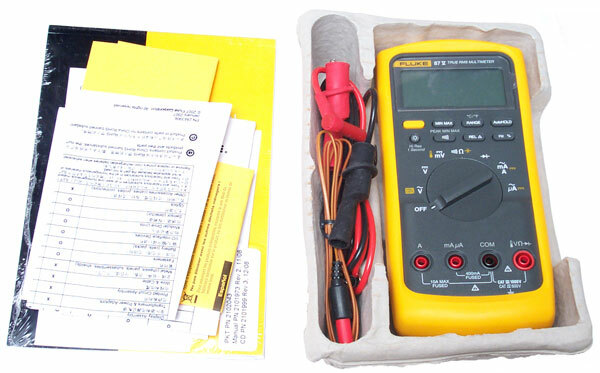 D280299 Digital multimeter for electrical measurement - 10 series? June 12, 2015 - Got this at the local hardware emporium to use while my Fluke 87 DMM is repaired. 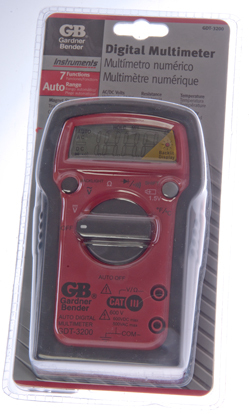 There were a number of multimeters for less money, but they seemed cheap. This one seemed more rugged. While none where as solid as the Fluke, it's useable. 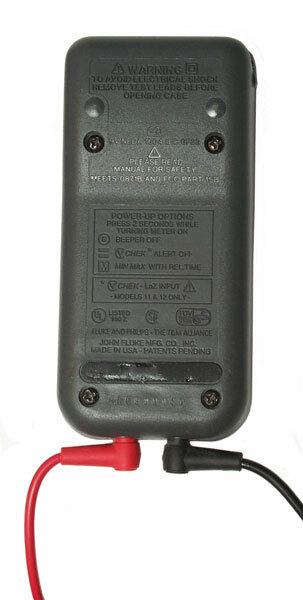 It has a battery test function which has a resistive load across the input DCV terminals. This could also be used like the VCheck feature on some Fluke DMMs. 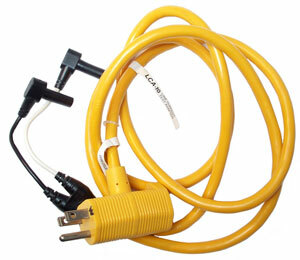 At 3.0 Volts it draws 43ma, at 10 Volts it draws 142 mA this is consistent with a 70 Ohm load resistance. That's to say it has more uses than just checking batteries. The strap has a (GB) logo that's also a magnet with enough strength to hold the meter and test leads on an iron or steel surface. [an error occurred while processing this directive] page created 9 Feb 2010.